Vá a Dalaran e compre 3x Mochila de Campo de Angelique Butler e volte a Azsuna para concluir a missão e ganhar +5 na habilidade de Primeiros Socorros fácil, fácil. Since I was going around aimlessly looking for Field Packs, I'll put where they're found here. First to Your Aid First Aid Shop in Dalaran sells these items for 2 g. Vendor is Angelique Butler. 1. The field packs can be bought from the First to Your Aid shop at Dalaran (see image here for location on map/area marked as "2"); make sure you buy three field packs. 2. 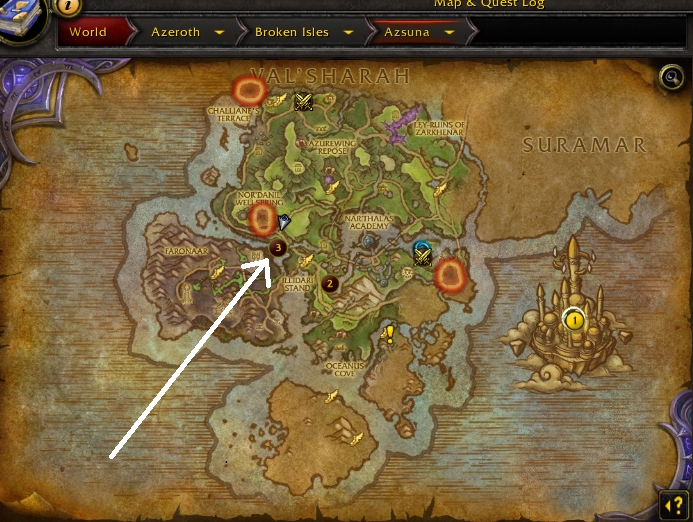 The fevered explorer is located in Azsuna (see image here for location on map/area marked as "3"). Might be bugged, or he may be slow to respawn. My map shows him inside the first aid trainer room in Dalaran but he isnt in there atm. You can purchase Field Packs from Angelique Butler <First Aid Supplies>, she is near your First Aid Trainer in Dalaran and sells them for 2 gold each. The Fevered Explorer is located in Azsuna at 40.47, 40.84. Talk to her to start the healing process. The map will show you where the Fevered Explorer is after you purchase the Field Packs. This quest can be repeated, if you find another drop. You also can't do it mounted, it doesn't automatically dismount you for the cast. 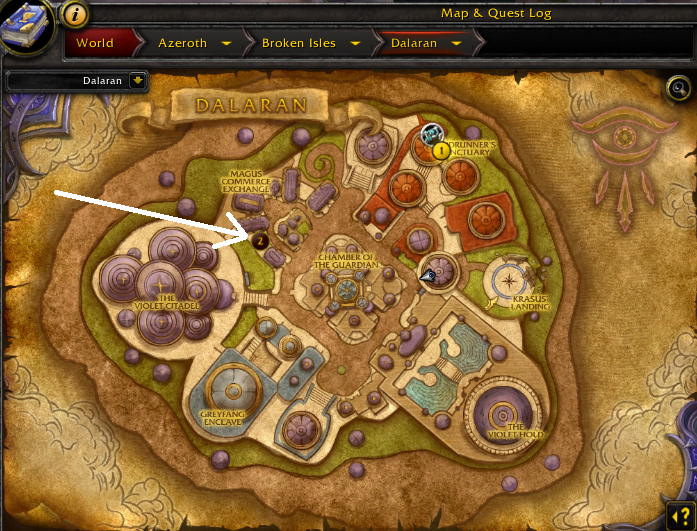 The actual location is in Azsuna at 40/40, not Dalaran. I got this quest a month ago and dropped it because my quest log was full and I didn’t realize the quest people were in Azsuna. 1 month and 9 levels later and I haven’t seen the quest item drop. I am stuck at 730 first aide. Any suggestions? Thank you. A follow up from Blizzard. My name is Game Master Volsox and I hope you are having a wonderful day so far. Thank you for taking the time to contact me about not being able to obtain the Fevered Plea again after abandoning the quest. I can certainly understand your concern, especially since that quest grants order hall resources and is part of the First Aid quests. Right now, we are looking into whether or not this intended to happen after you abandon the quest. If it is not, we will make a way for the letter to be obtainable gain. Thank you again for contacting us and I hope you have a wonderful rest of your day! If you do not resolve the ticket or provide any further response within one week, the ticket will be resolved automatically and you'll receive a final update via email. Leve 3 Mochilas de Campo para o local marcado no seu mapa. Trate o Explorador Febril quando chegar. Não aguento mais essa exaustão. E o calor deste lugar está me fazendo ver coisas. Por favor, se alguém encontrar esta mensagem, venha me procurar. E traga remédio, pelo amor da Luz.